All of our programs are personalized for each child after a one-on-one evaluation by our qualified professionals. We take time and care in explaining to parents evaluation results and ensure parents are equipped to take therapy techniques home to improve the overall well being of the family and create the best possible chance for your child's future success. Watch our video to learn more about the type of care Therapy Center of Buda strives to provide all our families. 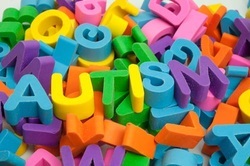 Children with Autism Spectrum typically benefit from Occupational and Speech- Language Therapy to help improve overall communication, social skills, sensory and vision processing, and handwriting skills. ABA principles are incorporated into the custom program when appropriate. Our Clinic Director is Certified Autism Specialist and is trained to use the Autism Diagnostic Observation Schedule (ADOS-2) for diagnosis of Autism. Children with ADHD benefit from therapy that focuses on sensory needs, especially over stimulation or sensory-seeking behavior. Therapy can also help regulate sensory processing so they are able to focus and concentrate on tasks. Children with Dyslexia typically benefit from a blend of Occupational and Speech-Language Therapy focused on underlying addressing contributing factors like vision processing, handwriting, and language skills. This can help their performance at school and at home. 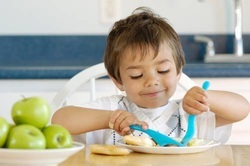 Speech-Language Therapy can help address issues related to trouble swallowing (Dysphagia) or texture or sensory food aversion in order to increase safe and healthy feedings and ease the difficulties parents have feeding fussy eaters. Kids often attempt to communicate using bad behavior as a more primitive form of communication. Underlying issues related to language and sensory processing can be addressed to minimize behavior issues both at school and at home. Ideal for kids who receive some Occupational or Speech-Language therapy at school, but could benefit from more one-on-one therapy outside of school hours or during holidays to advance progress. We select from the best methodologies to create personalized programs for your child.